Strictly Come Dancing | SHEmazing! 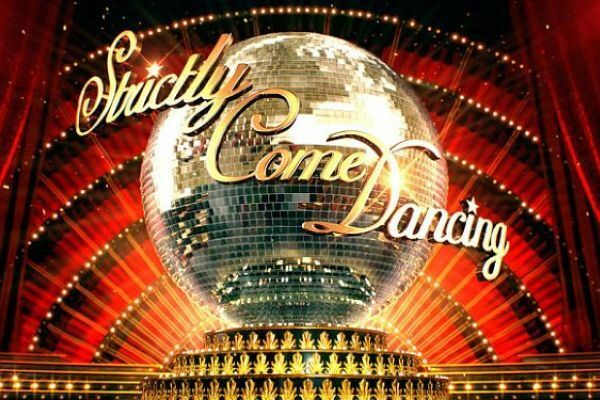 HomeTagsPosts tagged with "Strictly Come Dancing"
Will THIS Strictly star will be stepping into Darcey’s shoes? Darcey Bussell has hung up her judges shoes and called it a day on Strictly Come Dancing. And now the question on everyone lips is – who will take her place? 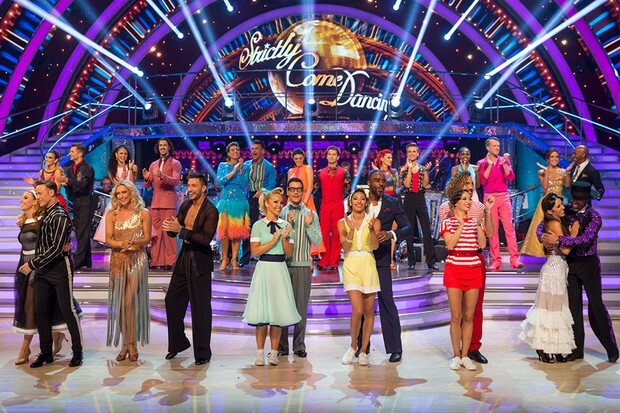 The Strictly pros have been vocal on their choice and it should come as no surprise to anyone that it's beloved fellow pro dancer Anton du Beke. 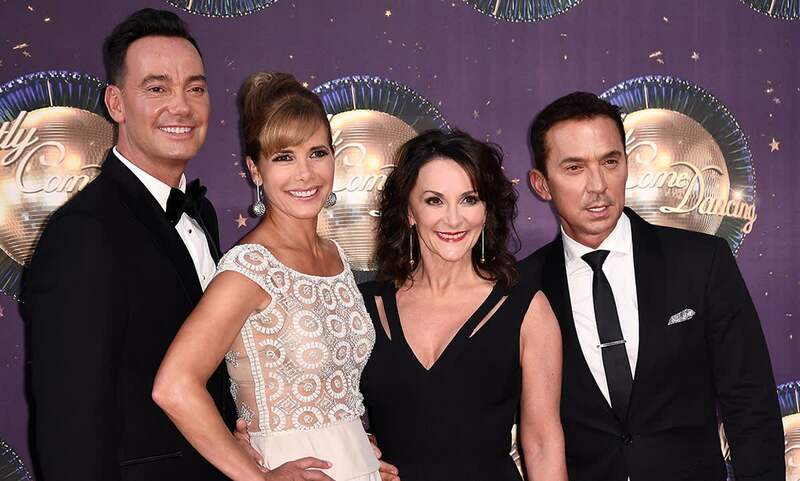 The 52-year-old, who has been with the BBC show since it began in 2004, has emerged as a firm favourite with viewers as well as his fellow dancers. The bookies are placing Anton as their favourite, with former Strictly professional Karen Hardy not far behind. However also rumoured to be in the running is pro dancer Oti Mabuse, who was a coach on BBC's The Greatest Dancer. A source at the BBC dance show has revealed that "loveable Anton" is the "cast's favourite choice" and some believe "it’s time for him to hang up his dancing shoes and sit on the other side of the table." This isn't Anton's first time trying to get on the judges panel as he auditioned to replace Len Goodman as head judge, but the role was given to Shirley Ballas. So are his days being stuck with the novelty act behind him and will he rake a seat on teh panel next to Craig Revel-Horwood and Bruno Tonioli? Love Island and Strictly Come Dancing stars have been left "shaken up" after leaving celebrity nightclub Tape just MINUTES before a triple stabbing. Familiar faces such as Oti Mabuse, Katya Jones and Megan Barton Hanson were among those who narrowly missed the horrific attack in London’s Oxford Street in the early hours of Sunday. 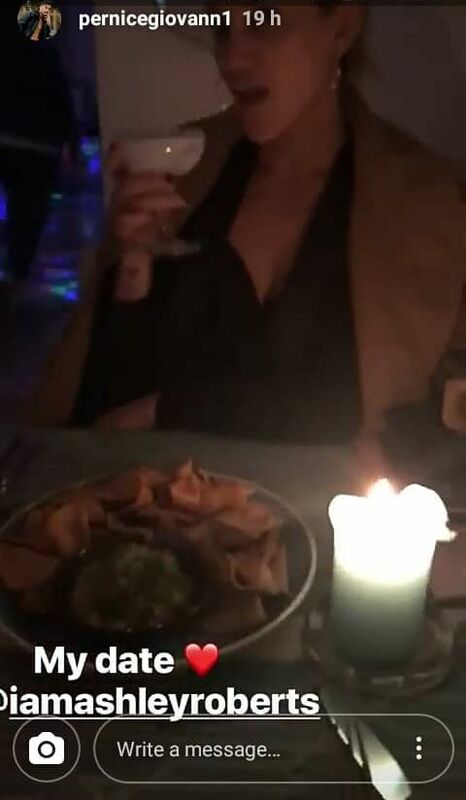 It was Love Island alumni Ellie Brown's 21st birthday, which was why a host of reality TV celebrities were in attendance. Strictly stars Oti Mabuse, Katya Jones and her husband Neil were there in order to celebrate Aljaz Skorjanec’s 28th birthday. A Love Island source told The Sun: “They have been really shaken up and can’t help but think ‘what if’ had they left a bit later." Oti, who is also a captain on BBC1’s The Greatest Dancer, brought Graziano Di Prima, Pasha Kovalev and Nadiya Bychkovaening to Tape following their dance performance that night. Fellow captain Cheryl Tweedy went straight home after filming, but her dancer co-stars left Tape between 2am and 2.50am. ITV2’s Love Island celebrities exited later, just a few minutes before the street stabbing took place at 3.40am. Laura Anderson left 15 minutes earlier while Megan Barton Hanson and Charlie Brake left at around 3.30am. Love Island stars Zara McDermott and Ellie Brown, who celebrated her 21st birthday, exited the nightspot at roughly he same time. Three men suffered stab and slash wounds in the chaotic attack; blood could be seen at the scene outside the pavement yesterday. The Met Police said that all three 24-year-old men are now recovering in hospital, and their injuries are not lif-threatening. A spokesman added: “Officers attended along with the London Ambulance Service. “Two males have been arrested on suspicion of attempted murder and possession of an offensive weapon." The near-miss for the reality TV stars comes only two months after Strictly professional dancer AJ Pritchard and his dancer brother Curtis were beaten up by eight men at a Cheshire nightclub. The ballroom dancer later hired personal security. Ashley Roberts and Giovanni Pernice are a couple that seem to be going from strength to strength. The pair, who met on Strictly's 2018 series, might have kept their blossoming romance under wraps during the show but they are shouting it from the rooftops now. While Giovanni had already posted a snap of them enjoying their holiday to his Instagram, Ashley has now followed in his footsteps. In her first social media post of her and her boyfriend, Ashley uploaded a snap of them smiling backstage on the Strictly tour. Her followers were so happy to see the adorable couple together. This comes after Ashley confirmed their relationship to Weekend magazine. We think they look fab together – we wish them the best of luck. They have been posting about their blossoming relationship on social media since they went public with their romance in December. And it's clear to anyone that Strictly's Joe Sugg and Dianne Buswell are madly in love. However, while their PDA's are cute, it seems that their co-stars on the Strictly live tour are not big fans of the public smooching. It ahs been reported that their fellow dancers are tired of their kissing and cuddling during rehearsals, which has apparently led to a series of rows. 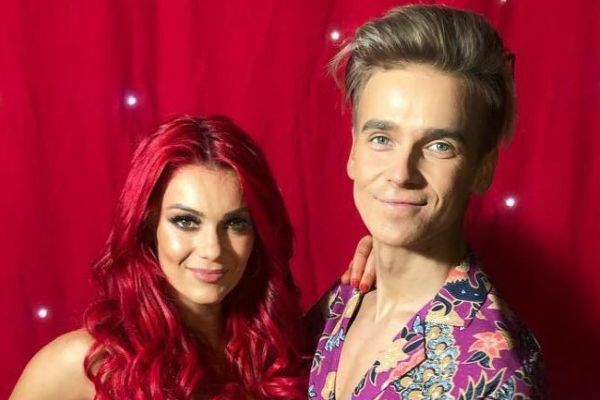 Things came to ahead which Joe and Dianne deciding to go to a nearby five-star hotel Titanic, instead of staying at the heading to the Hilton Hotel in Liverpool where the other Strictly stars are staying. Joe has uploaded a sweet snap of him and Dianne to Instagram in their hotel room at the Titanic. Dianne also posted a snap of her in the same hotel room, thanking Joe for organising a day off for them. With the tour still going until February 10 we wonder how this will pan out until then…watch this space. 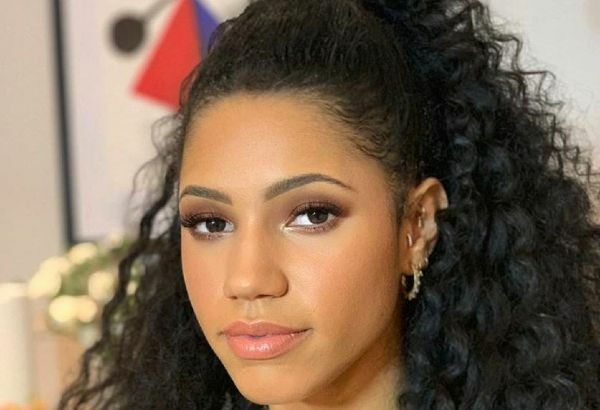 This years Strictly Come Dancing had so much romance in the air – and now former contestant Vick Hope has spilled the beans on what went on behind the scenes. The radio DJ, who as partnered with pro dancer Graziano di Prima, opened up to Hello! magazine about how she spotted certain relationships blossoming on the BBC show. She also spoke about how her and her classmates had formed a strong bond since the finale in December. 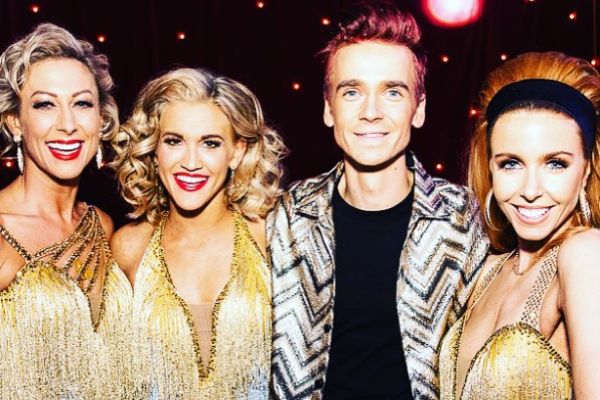 The show saw two relationships flourish during the competition and they were celebrities Joe Sugg and Ashley Roberts and pro dancers Dianne Buswell and Giovanni Pernice. When it came to Joe and Dianne, their chemistry was apparent. Vick said, ''To be honest, we sort of saw it coming! But of course nobody was going to say anything. But yes it's so sweet and so cute, I love how dancing brings them together and then some!" She continued, ''When we were doing the show, everyone was so professional and it was all about the dancing and the competition, and everyone was really focused. They would not let any relationship get in the way of that and they kept that separate. And it is only now that the show has finished that they are showing it a bit more." Strictly might be finished for another year but the 29-year-old has another project to keep her busy. She has been narrating E4's new series of Shipwrecked and is loving it. They were caught passionately kissing after a Nando's date by The Sun. 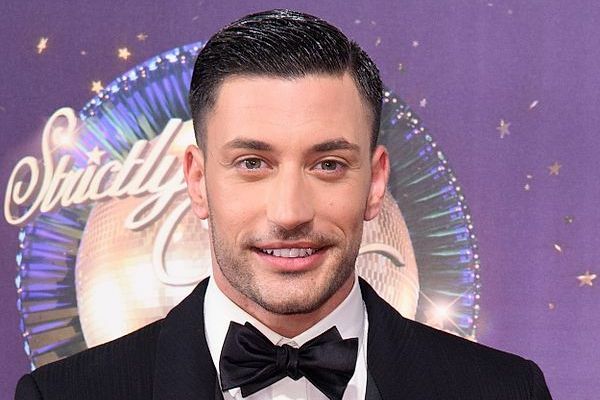 And now it seems that Strictly Come Dancing's Giovanni Pernice and Ashley Roberts can no longer deny that they are an item. The pro dancer appeared on Lorriane and was quizzed about his love life. Lorraine went on to say that it was ''early days'' for the couple and hoped that it went well for them, to which Giovanni thanked her. The pair have been rumoured to be dating for months and it seems that things have gone up a notch as Giovanni flew to the States to spend Christmas with Ashley and her family. Ashley reached the finals of Strictly alongside her pro dance partner Pasha Kovalev while Giovanni did too, with former Steps singer Faye Tozer. They reportedly became close during rehearsals but kept their blossoming relationship under wraps. We wish them all the best as a couple together. 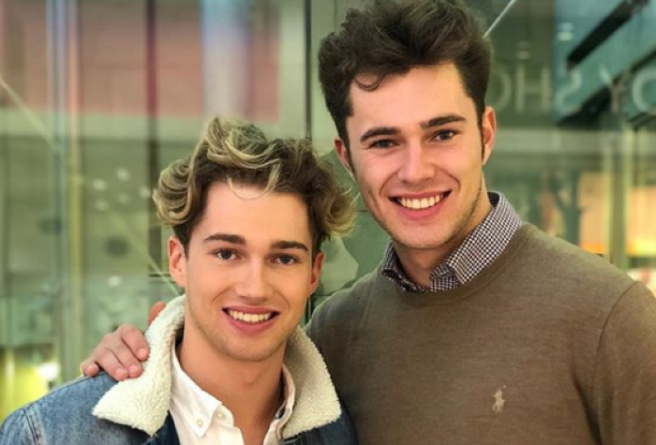 Strictly’s AJ Pritchard and his brother Curtis were brutally attacked in a Cheshire nightclub. The two boys were both home for the holidays visiting their parents’ home in Stoke-on-Trent when the incident occurred. They decided to head out to a nightclub in Nantwich, Cheshire (a place they had frequented in the past) with a group of friends. On the dance floor, AJ was receiving the usual attention he gets from female Strictly fans when a group of men became aggressively jealous. The brothers believe it was this jealous rage that triggered the surprise beating. AJ told The Sun: “We were dancing as a group and, out of the blue, Curtis was violently pushed from the side. It all happened so quickly. “Suddenly, we were surrounded by about eight blokes. He stuck his arms out to try and stop them and moved in front of me. But we were punched and kicked from all angles. “We had no time to defend ourselves, by the time we even put our hands up we were being punched and kicked. Curtis saw four lads grab AJ when he quickly intervened to save his brother. The dancing star threw himself between the thugs and AJ, taking the brute force of the attack as he was punched and kicked multiple times. “Because my arms were down trying to protect AJ and push him back, a massive hook came at my face and hit me in the right eye,” Curtis explained. “Seconds later a second hook came again and hit me in the same place on my right eye. That’s when my legs turned to jelly and I went down and blacked out. As security moved in to stop the attackers, AJ dragged his brother away from the danger. Hit in both eyes, his nose, lips, and legs – AJ described Curtis as a swollen mess and was worried about his brother’s condition. The only thing on Curtis’ mind was the state of his knee, he could feel the searing pain and could only hope that the injury wouldn’t end his dancing career. The star’s fears have only worsened as plans for a knee operation have been made. He was forced to pull out of Dancing With The Stars Ireland but is glad to have his family by his side for support. 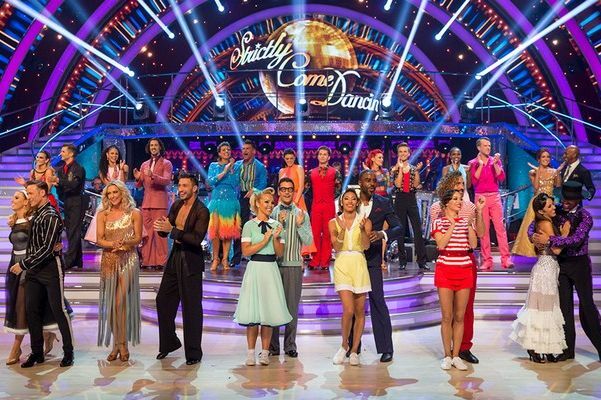 AJ’s Strictly co-stars have sent messages of support for Curtis and the Strictly finalist, who was left with a swollen and bruised body and face. Sending all the love to @Aj11Ace & his brother @CurtisPritchard wishing him a speedy recovery. Horrified to hear about the brutal attack upon them & their friends. Heartbreaking. We wish the best of luck to AJ and his brother on their road to recovery and hope the operation will save Curtis’ knee. He made a valiant sacrifice by stepping in to save his brother.